2. Create a vm for the vn vn1. 3. 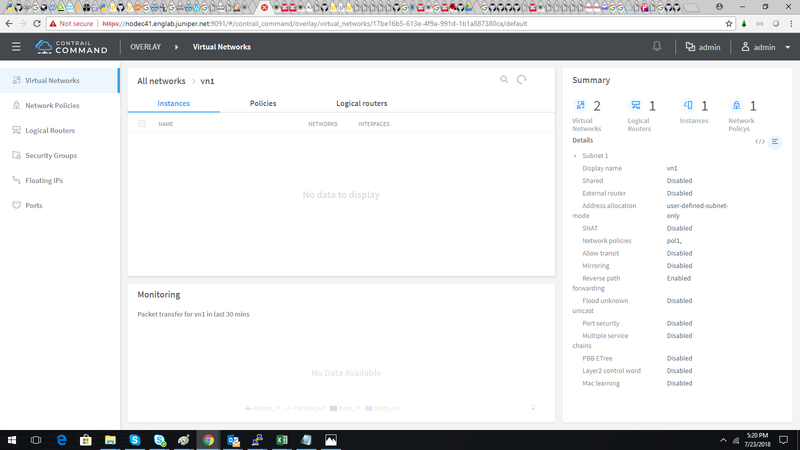 Then go to Overlay->Virtual Networks->v1->Instances to check the instance details. But instance is not shown under that. This issue is not only seen in newUI. In old UI also it is not showing the instance details under Montior->Networking->Instances. I could see the vm details in both config and analytics api. Couldn't get error messages regarding this in ui log. I managed to list the VMs in VN details. It lists them properly on the admin project. In other projects, I could not create a VM that would not instantly go into an error state, so I could not attach it to a VN. Hence, I could not test it in projects other than admin. 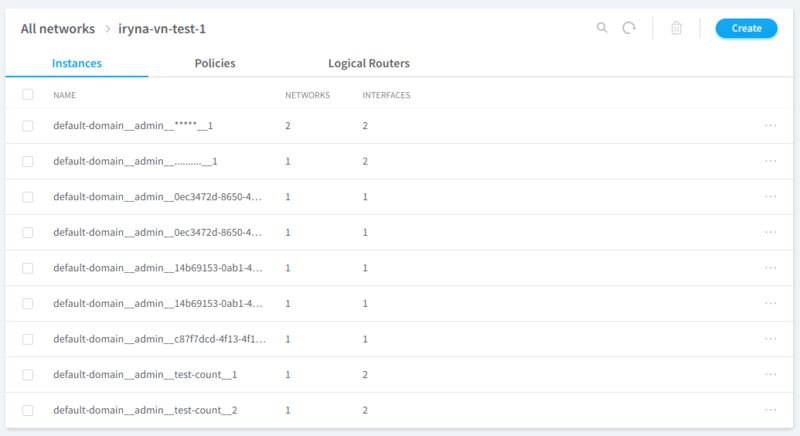 Actually, while creating a Logical Router with an external gateway and a connected network filled in, a VM was created and it was successfully listed in VN details.